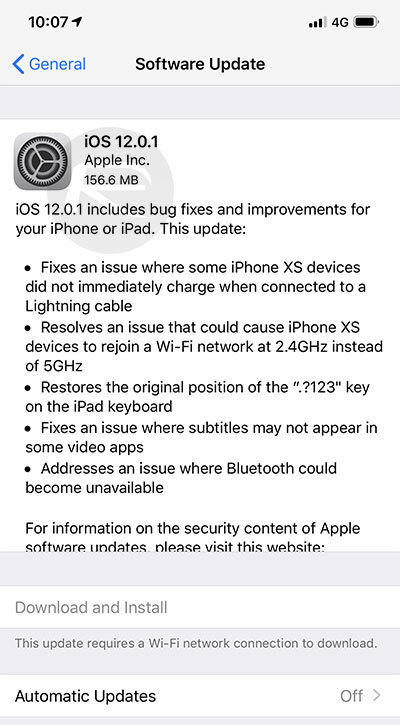 You can now download iOS 12.0.1 IPSW Links and OTA update for your iPhone and iPad device. Here are the details on the release. If installing software and interacting with improvements and new features are your idea of technological heaven, then Apple is the company that keeps on giving. 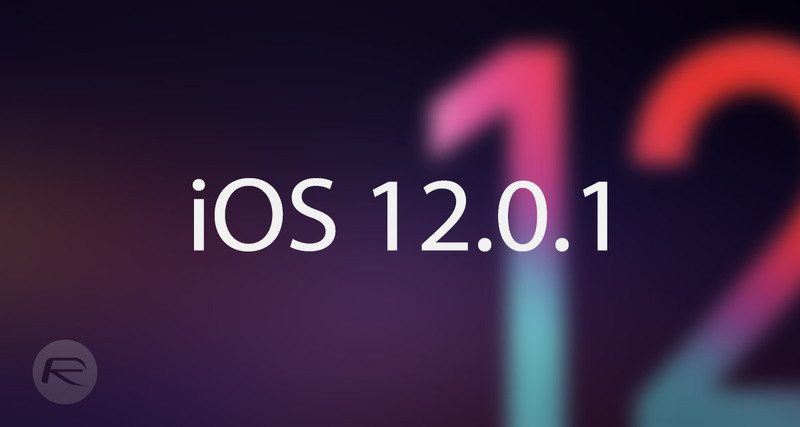 Following on from the release of iOS 12.0 final and iOS 12.1 beta into the development community, Apple has now officially released iOS 12.0.1 into the public domain. Once Apple had tipped its hat and pushed out iOS 12.1 beta into the development community it would have been extremely easy to assume that the company would simply ignore the process of releasing iOS 12.0.1 in the first instance. That was never going to happen as Apple typically follows up any major release of a new platform with a quick minor point release that is designed to eradicate bugs, solve problems that have become clear from the initial release, and stabilize the firmware ahead of that iOS 12.1 release once it comes out of development and testing. iOS 12.0.1 is that release. And, as expected, with it comes an internal fix for the missing Awards in the Activity app that a lot of iOS 12 users have been complaining about. Apple had already made it public knowledge that it would address that issue with a firmware update and as of iOS 12.0.1, it is actually patched. That means that anyone who has the Thanksgiving Day Challenge 2016, Mother’s Day Challenge 2017, Veterans Day Challenge 2017, or China National Fitness Day 2018 achievements already on their account should now be able to see it via Activity app, once again. Apple has also addressed an issue that was recently highlighted as reaching as far back as iOS 7 which allowed WebKit to be overloaded and ultimately crash out and take the entire system with it. It seems relatively bizarre that this issue has been present in four generations of Apple’s iOS platform but thankfully it is now squashed and is no longer a potential inconvenience to those running iOS 12.0.1. Additionally, Apple has also included a slew of bug fixes and under-the-hood-improvements to not only try and make iOS 12.0.1 more stable and usable but to also lay the foundations for iOS 12.1. And yes, these fixes include fix for charging issue faced by some iPhone users as well as a bug where iPhone preferred joining 2.4GHz networks over 5GHz. You can jump right into the Settings app and navigate to General > Software Update to get the latest iOS 12.0.1 download as an OTA update. Alternatively, you can grab the official IPSW download links for your device from the links below and then restore or update to it using iTunes. Yeah… as of 12:43 eastern time this isn’t out… how about waiting until it’s released??? Jump over to New Zealand and get it. The world don’t resolve around the US.